Yesterday, I found out that there is such a thing as a National Pasta Day, and National Pasta Month! I was enjoying my Apple-flavoured Tic Tac on my way to the Blackboard restaurant in Podium to celebrate the National Pasta Month, and part of me was telling my Tic Tac, that someday soon, there would be a National Tic Tac Day. Hehe. National Pasta Month started in October 25, 1995 in Rome where the First World Pasta Congress was held. Dona Elena Al Dente Pasta had prepared an exciting afternoon for us by inviting guest speakers to talk more about pasta, doing a live cooking demo and challenging us to make our own pasta dish (oh, guess who won the challenge!!!). I love pasta especially in red sauce. Whenever we talk about pasta, there is one term that we associate the pasta with - al dente - that's how we want our pasta. 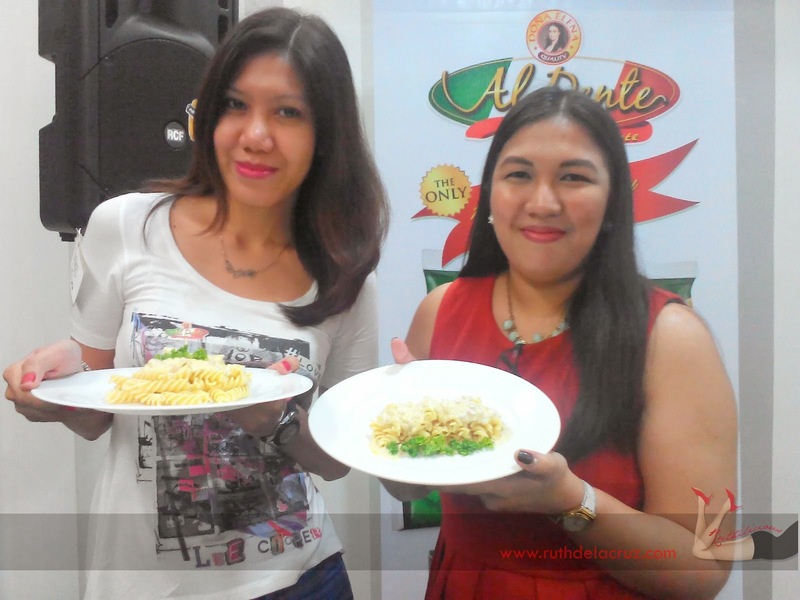 Dona Elena Al Dente invites us to celebrate National Pasta Month by taking regular pasta dishes to the next level - by starting with the kind of pasta that we use. Dona Elena Al Dente was made through the artisan way of cooking pasta - slow drying process and not subjected to heat. It is of course made of, Durum Wheat. It contains 13% protein, and GMO-free. I sometimes cook at home, and I also have preferences in using different brands for my pasta. Oftentimes, a different brand of tomato sauce, or pasta can make a big difference in the taste of the dish. For those who think that all pastas are the same, Dona Elena educated us with the difference of Bronze Die and Teflon Die pasta. Basically, Bronze Die pasta is better because it provides rough surface that creates ridges on the pasta which is good for absorbing sauces. Dona Elena Al Dente also invited speakers to talk more about pasta. One interesting topic is "Why is Pasta Good for Us?". We all have that thinking that pasta can get us fat (well, yeah that's the truth!). Pasta is good for us as it gives us energy and happy feeling (and happy tummy!). But we have to eat in moderation. We also have to consider the ingredients that we use for the sauce. RJ Ledesma also joined us and he talked about his pasta story and how he started Mercato. He inspired us to share our pasta story, because after all, every dish has a good story to tell - that makes the dish a lot more meaningful. I don't know about you, but I don't put oil in my water when boiling and cooking pasta. Dona Elena Al Dente doesn't require oil too! The pasta doesn't stick together, thus no oil is required. 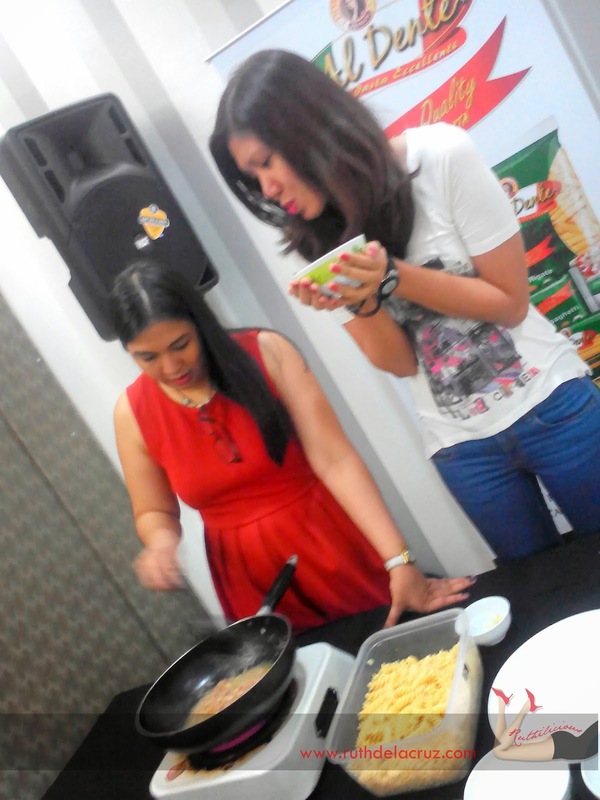 To make the event a little more exciting, we were challenged to a Pasta Cook-Off! It was a surprise when my name was called as a volunteer! Haha. I was partnered with Glaiza, and we had to pick cards to determine the kind of pasta and sauce that we need to cook and prepare. 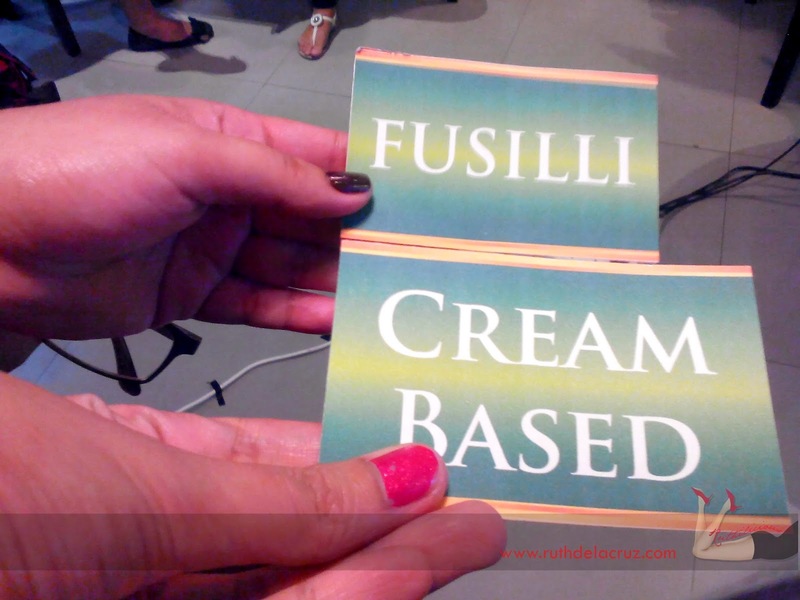 We got Fusilli and Cream Based Sauce! We got all the same ingredients (oil, salt, pepper, garlic, onions and parsley) and there were additional ingredients like shrimp, fish and bacon bits that we could add in our recipe. We were only given 10 minutes to cook and we decided on something simple - Béchamel Sauce! Haha. I let Glaiza did the first cooking and we had to consult each other if we should add ingredients - the best part is we trust each other's skills. Here are the products that we were available for us to use during the Cook-Off Challenge. I am sure you are familiar with them! I was seriously starving after the Cook-off Challenge! I finished the large serving of lasagna that was served to me. Haha. When the winners were announced, the host said there were two teams who won - both "F"'s! Glaiza and I had to look at each other and recall what kind of pasta did we prepare and we both laughed realizing we won! Yes #TeamFusilli! with Glaiza and her cutie pattoootie kid! 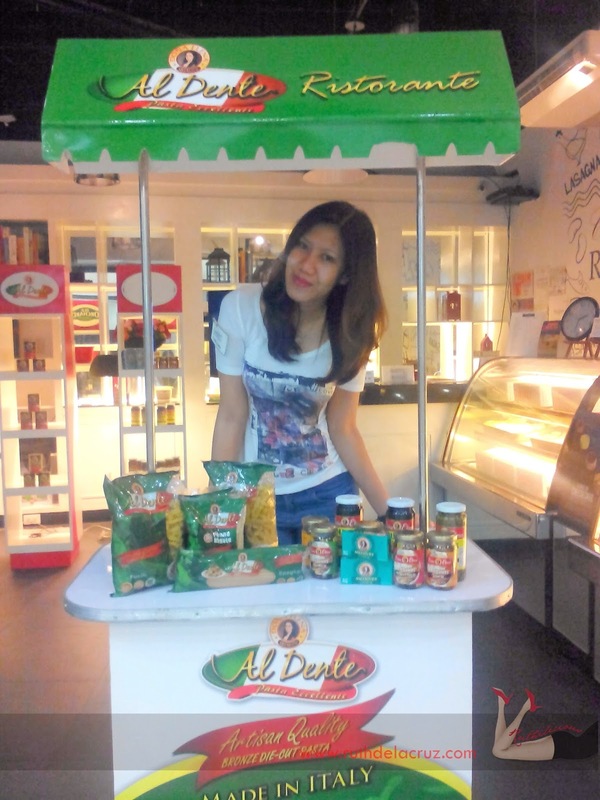 Thank you Dona Elena Al Dente and Fly Ace Corp for having me! How are you celebrating the National Pasta Month?